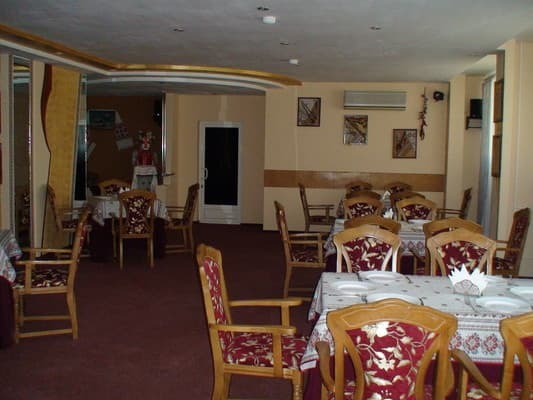 The Bratislava Hotel is located 10 km from the city center. Curved horn in the area of ​​"Makulan". 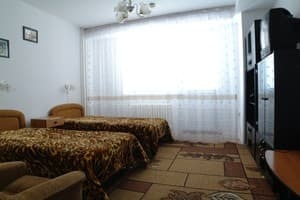 The hotel offers accommodation in 64 comfortable single and double rooms of economy, standard, comfort, business class and two-room suites. 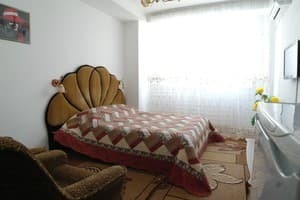 Description of the room: Comfortable single room with an area of ​​18 m2. In the room: an entrance hall; room; a bathroom. Furniture: bed (0,9х2,0); bedside table; wardrobe; cabinet furniture; armchair; Coffee table. Technical facilities: air conditioning; TV; phone; fridge. Description of the room: Comfortable double room measuring 19 m2. In the room: an entrance hall; room; a bathroom. Furniture: double bed (1,6x2,0); bedside tables; wardrobe; two armchairs; Coffee table. Technical facilities: TV; phone; fridge. Description of the room: Comfortable double room with an area of ​​22 m2. In the room: an entrance hall; room; a bathroom. Furniture: two beds (0,9х2,0); bedside tables; wardrobe; cabinet furniture; two armchairs; Coffee table. Technical facilities: air conditioning; TV; phone; fridge. Чистые аккуратные номера. 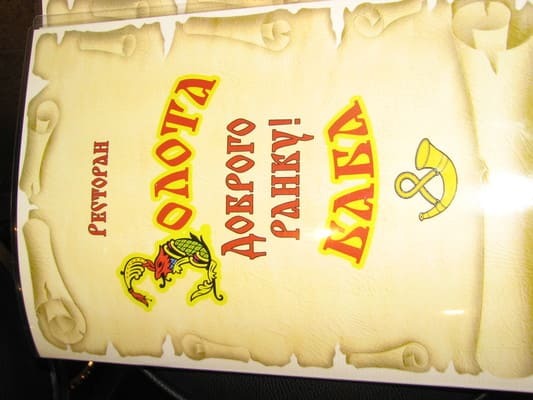 В ресторане вкусная и не дорогая еда. Приветливый персонал. Хорошая цена. Телевизор и Wi-Fi. Далеко от ж/д вокзала. 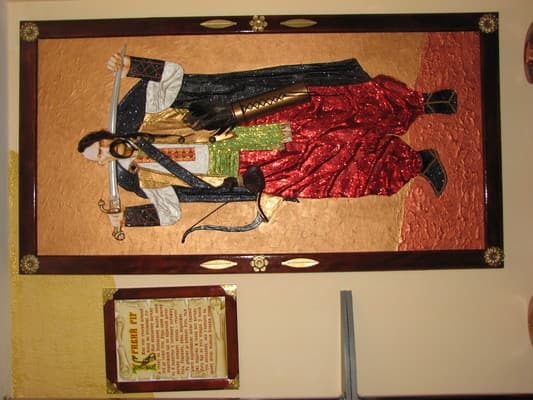 Унитаз упирается в душевую кабину ( сесть не возможно). В гостинице есть ресторан, цены очень приемлемые, еда вкусная. Обслуживание прекрасное, персонал приветлив. Children without extra bed stay for free. 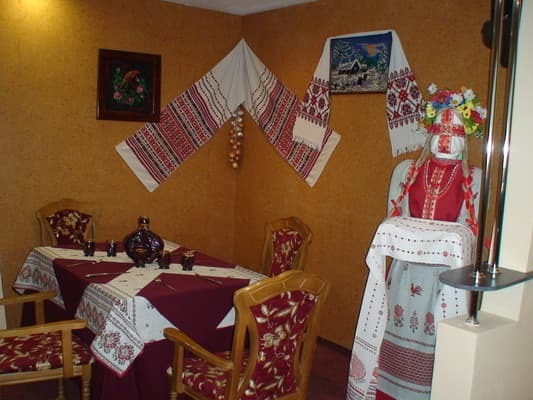 The menu of the restaurant presents Russian, Ukrainian and European cuisine. 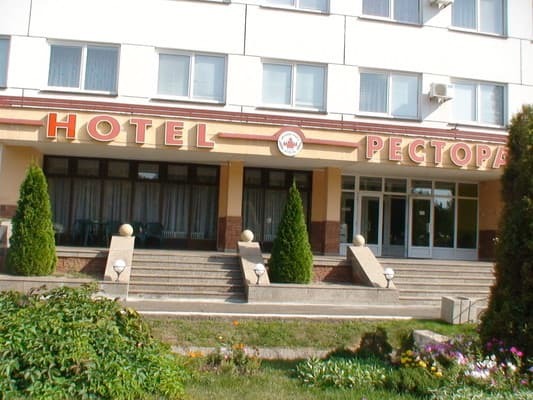 Hotel "Bratislava" is situated in ecologically clean area of ​​Krivoy Rog one kilometer from the highway "Odessa - Nikolaev - Krivoy Rog" and 10 km from the route Kirovohrad (Kiev area). Shuttle buses from the stop. Sotsgorod - №279, №300, №300A; from the east. Sq. Liberation - №279, №300, №300A, №107. (To search for the navigator to enter the address ul.Vsebratskaya, 2).